Attention Scranton MMA is looking for all of our members to help support the March of Dimes. Nicole Wendolowski, whose family has been a part of Scranton MMA Since day one, is hosting several fundraisers to raise money for the March of Dimes. The next event that Scranton Mixed Martial Arts will be supporting for the march of dimes is the Bowling for Babies Event. Time to create your winning team. We are looking for “Team Leaders” with 4 teammates. Each member is asked to raise $50 for the March of Dimes by reaching out to family & friends or by combining efforts to raise $250 per team. THE TEAM THAT RAISES THE MOST MONEY WILL RECEIVE A PRIZE. Additional prizes will be given out during the event and we will have a basket raffle with GREAT prizes! MONEY MUST BE SUBMITTED on APRIL 1. The event is on April 6th and Idle Hours Bowling alley in Dickson City, pa. REGISTRATION IS AT 2:00PM. Bowling is from 3-5PM. Bowling shoes are free of charge. One team has been successful in acquiring sponsorship for their bowling team online. Another person was successful in getting a business to sponsor his team on the condition they wear the company’s T-shirt. As team leader, you can be as creative as you want. The team that raises the most money will be bringing home the gold. Please join us in raising money for this great cause. We will also have a fun and get to hang out with each other outside of the gym. 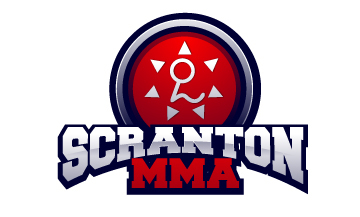 Sensei Tom and Sensei Jeff already have their own teams signed up and we hope to have a bunch more teams representing Scranton Mixed Martial Arts. IF YOU ARE STILL LOOKING FOR TEAM MEMBERS OR WANT TO BE ON A TEAM please inbox me so we can start getting everything together. If you have any questions about the event please just ask Tom or Jeff and we will be happy to help.